The BoBunny Blog: Not allotta time or cash???? Not allotta time or cash???? our DT pulled together in no time at all. 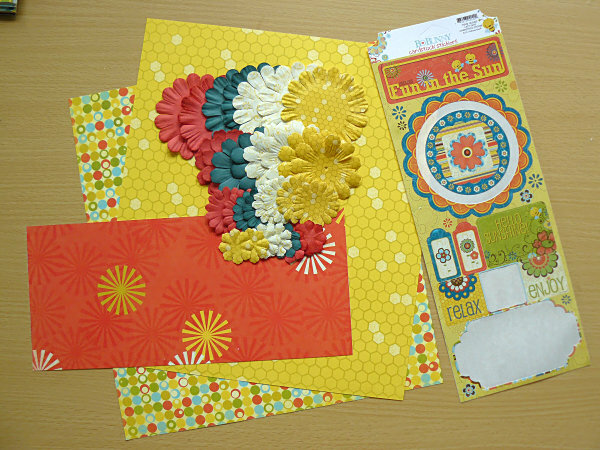 Carin starts us off with this darling layout made with Hello Sunshine... This page is just a bit of happiness right here on the blog. 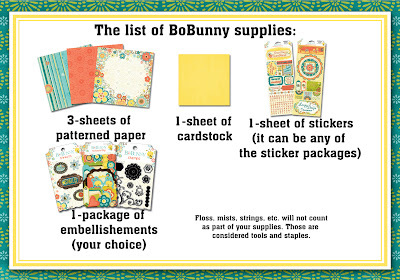 I love that she spotlighted the kids with the open circle sticker!
" I am a someone who takes loads of photos and has a really hard time narrowing down what photos I want to use! I often have too many to even do a double page that I would be happy with and I am mostly a single page girl anyway! So my soloution to my problem is to use these page protectors with 4x6 slots. 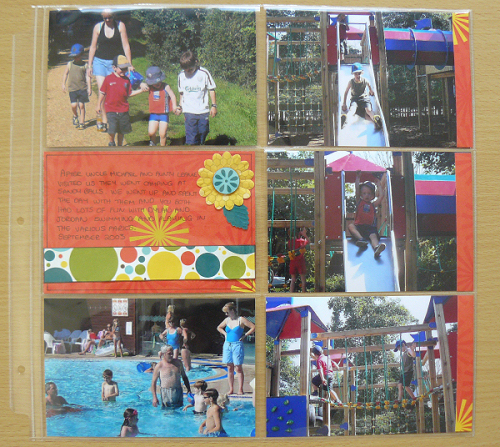 You can do your single page with as many photos as you like and then slot the rest into the page protectors and use one of them for journalling or just to decorate. Quick and simple! I have kept this one really simple with just a journalling box and a strip down the side to help tie it in with my single page but you could go as fancy as you like! " "I like to make the photos the stars of my layouts so I usually scrap with 4x6 photos. Since I don't have to crop my photos and bigger photos take up more space I save time and product too. 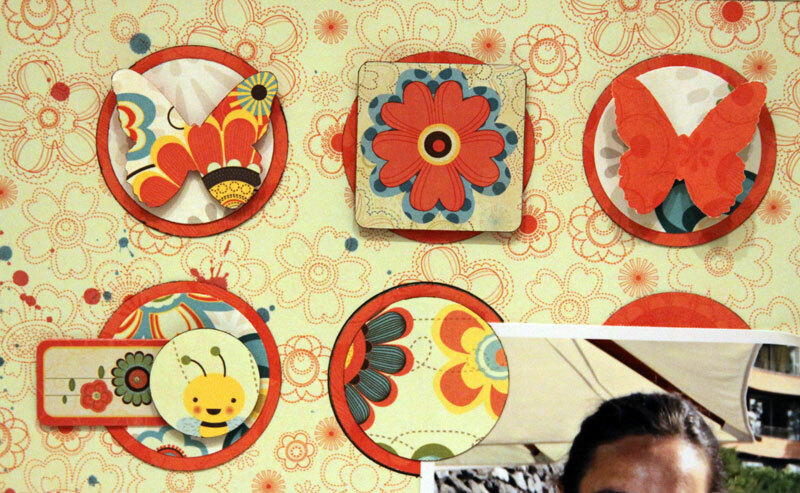 I only used half of my cardstock sheet and less than half of two of my patterned papers. I also only used a few stickers and two chipboard pieces from the set. 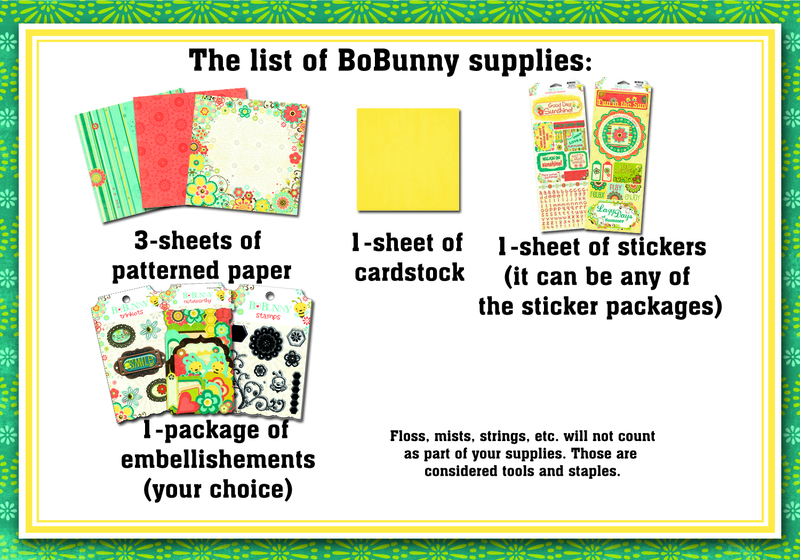 I have tons of product left over to make several more layouts and cards. And time too since I didn't spend hours on this layout!" Sarah also made you all a sketch... don't forget to check out the sketch tab at the top of the blog. you can make such great embellies with them." 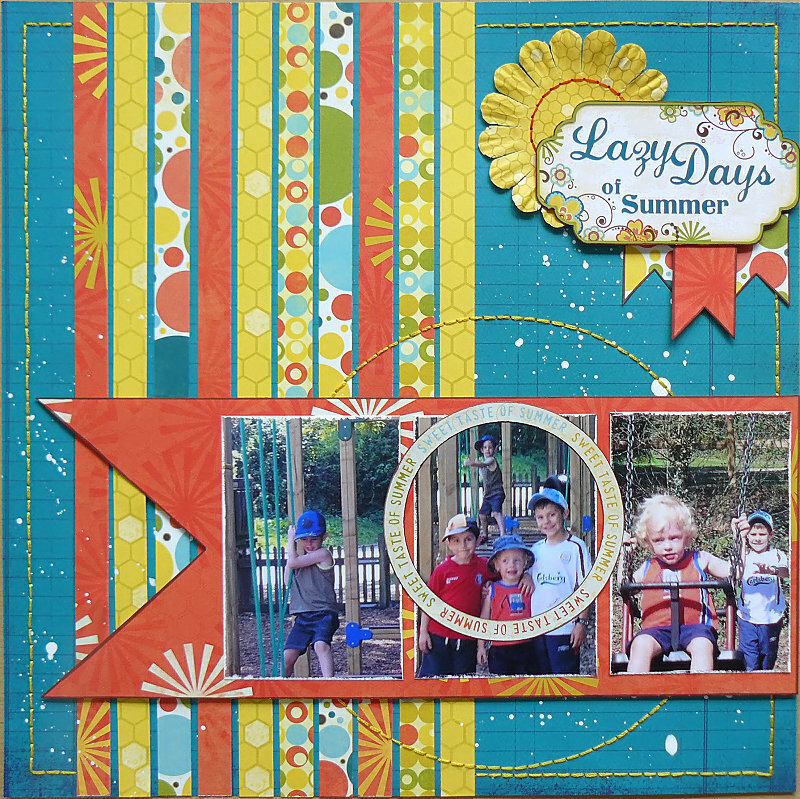 Can you stand how easy yet amazing today's layouts are??? Take a few minutes this week and play with our formula! Be sure to share your layouts with us on facebook! Love Carin's idea with all those "ribbons"! Can I steal the idea? Oh wow! that is pretty cool! Beautiful layouts and great tips. I'll give it a shot! You all ROCKED this challenge!! I just loveeeeeeeeeeeee them all!!! WOW WOW WOW!!!! 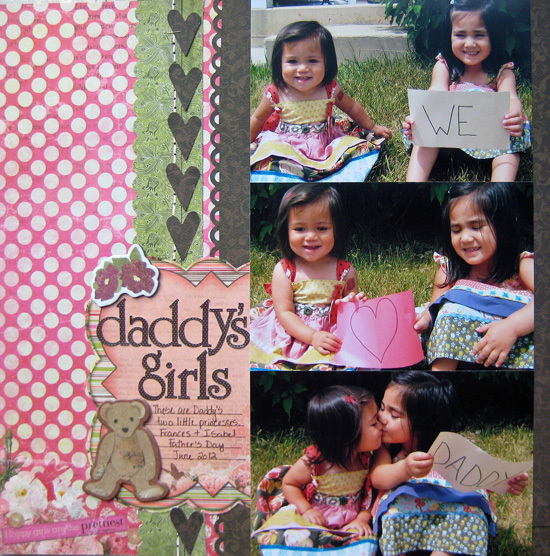 LOVE the 'We love Daddy' page!!! just love the way your girls works with the wonderful colours of Bo Bunny. Wish I had the time and inspiration do do that. I just loveeeeeeeeeeeee them all!! !